Better batteries are critical to the world's clean energy future. More economical and efficient batteries would help to solve many of our planet's energy challenges, paving the way towards long-range electric vehicles to help reduce our reliance on fossil fuels as well as advancing renewable energy production by resolving intermittency problems. However, the scientific research needed to bring the necessary advances in materials to market in the US remains a formidable challenge. Hurdles include high upfront capital costs and long timelines to success – leading many startup companies to fail, even with generous funding from venture capital and esteemed investors such as Bill Gates. A new study published in MRS Energy & Sustainability investigates why so many of these American battery materials startups are failing under the current venture capital funding model. 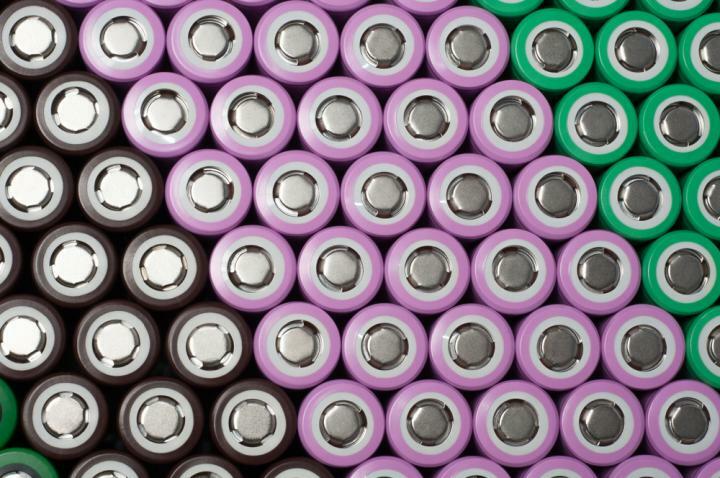 Leading scientists from Northwestern University and Chicago battery startup SiNode Systems team up to provide recommendations to the different stakeholders in the battery industry drawing on an unusual source of inspiration – the pharmaceutical industry. Eve Hanson, a materials scientist with venture capital experience, Vinayak Dravid, a battery research professor, and Samir Mayekar, a battery startup CEO, find that pharmaceutical products face many similar hurdles, yet there is an established track record of pharmaceutical startup successes. The authors compare and contrast the battery and pharmaceutical markets, and use the pharmaceutical market as inspiration for new stakeholder recommendations in the battery market. In particular, the authors provide detailed recommendations for battery materials startup entrepreneurs, as well as for investors, manufacturers and policy-makers. The report recommends that battery entrepreneurs should incorporate pharma-like strategies such as: developing several strategic partnerships with large battery manufacturers to more effectively guide R&D strategy; targeting fundraising to specific acquisition scenarios; and initially pursuing niche, high-margin applications as their first "beachhead" market. The authors provide a case study of these recommendations in practice based on Mayekar's experience leading battery startup SiNode Systems. "With numerous clean energy technologies, such as electric vehicles and intermittent renewables, dependent on gains in battery performance, improving new battery materials commercialization is critical to a carbon-neutral future," the authors conclude. "Taking a fresh perspective, this paper provides a novel set of strategies to battery market stakeholders to improve the chances of direly needed battery commercialization… We hope that these ideas spur the battery community to more successfully commercialize and deploy transformative technologies." MRS Energy & Sustainability, a journal of the Materials Research Society and Cambridge University Press, encourages contributions that provide viewpoints and perspectives on the all-important issue of how humankind can work towards, and build, a sustainable future.